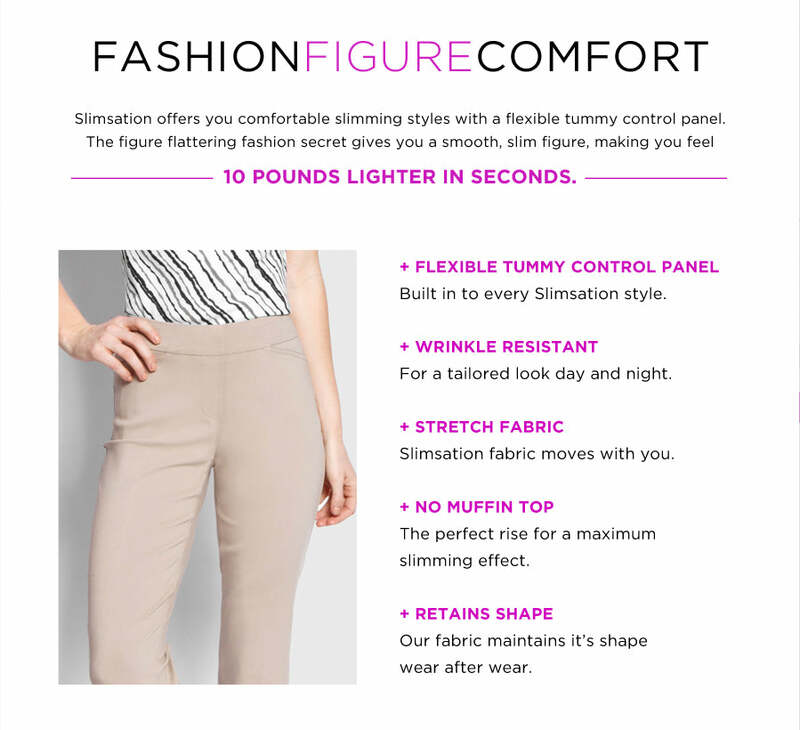 Ultra-comfortable, wrinkle-resistant SlimSation stretch fabric feels beautiful on every body. Slim-fitting and flat front for a smooth look. Rayon, Nylon, Spandex blend. Machine wash, cold. Imported.